Time to step into autumn’s new face! It is that time of year when the seasons start to change and you start craving new colors in makeup! If you’re not you’re missing out on the fun. This autumn it is really all about looking your best with whatever hues you choose to use. OVER slaying and over the top contouring and highlighting is out. YOUR face doesn’t need that! You simply need a few new pieces to add to your makeup wardrobe. It doesn’t matter where you shop for them it only matters that you are able to TEST DRIVE and play with a few choices to see how they look on you. Don’t be in a rush. Take a little time for yourself. It should be a fun process. The colors of the moment for your lips are BOLD rich colored lips,a soft brown lip,a touch of mauve and the classic red lipstick. Black winged eyeliner still rules but so does a bold blue or other colored hue. And the black liner is graphic and artsy like in the application. I like to buy KITS for the season. This way you have all you need at your fingertips especially when you travel. 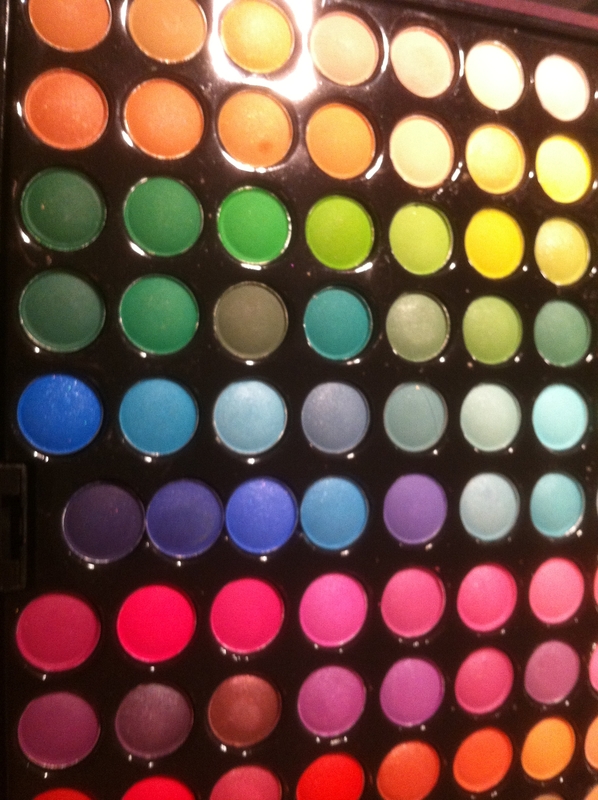 It also gives you a chance to experiment and play with more shades you may never have tried before. It is also time to buy a new tube of sunscreen. Yes, even in winter needs sun protection. Even from the glare of the snow. You might want to lighten up that foundation and or face powder to suit your lighter skin look. You don’t want what I call ring around the face. Also now is the time to add a bit of moisture to your skin by adding a new serum,eye gel and or primer to make your makeup last longer. So, it continues to be a hectic but fun new year. This week I am getting ready for a few guest speaking engagements I am doing. I’ll tell you all about them when I return. Go window shop and cruise your city to discover what’s out there in the beauty world waiting for you this fall! The All I have is Five Minutes face! I know you’re busy were all busy especially around the holidays. Lately I have bumped into clients out and about town who come or have come to my makeup studio in sunny Florida. However, they cover their faces and tell me please don’t look at me. I look awful. That’s kinda sad don’t you think? If all you have is five minutes here is what you need. A sheer foundation like Not Your Mothers Foundation or a powder foundation in a compact. Apply a sheer amount on your face staying away from your eyes and lips. Next,blend a dash of concealer in a lipstick tube.Apply where you need coverage…eyelids, under eye and on sun or red spots. A dash of eye shadow all over the lid…Look for a shade like a Champagne,Pink Champagne or a soft beige gold hue.Yes all you will need is one shade. NOT two or three. YES, mascara is optional but liner is a must…it not only lines your eyes and accents them it also can create the look like you applied mascara but it is only eye liner eye pencil you have on. You actually don’t need both. A kiss of blush or powder bronzer applied with a fan brush to give a warmth to your complexion. A swipe of lipstick,lip gloss or lip balm…wraps up the look. See how fast and so EASY this 5 minute face can be to do? There’s no excuse why you can’t do this too. My model is my girlfriend Nancy doesn’t she look awesome and pretty naturally? If you have a holiday party to do and want to look good too…with not a lot of time involved…go for it! Share with me,chat with me…I LOVE hearing from you and your sharing a beauty secret or two with me. Hope you are enjoying the beauty of this holiday season. When in doubt…throw it out Darlings! As the new year rings in… and things have calmed a bit think about your beauty and skin care products not just eating better and losing weight! And now is the hard part. Smell them, shake them and see which you may have to part with.Yes, actually throw out and start fresh! Bad beauty isn’t very pretty and surely not healthy. As a professional makeup artist I see ALL kinds of cosmetic bags.But some of my clients collections of makeup and their makeup bags frighten me! Her bottle of foundation has turned green along with the beige hue. Another clients lipsticks had a horrific scent and didn’t glide on like silk. Their eyeliners are so chopped up and the wood base is ready to rip out her cornea anytime.I know this was from not sharpening with the correct pencil sharpener. Another clients nail polishes are turning yellow and green…it makes me want to scream! The blush has such an oil build up on it I could fry french fries on the powder blush from her facial oil. The skin care smells rancid and her sunscreen shakes very watery as it has lost its magic. The truth is you can’t keep skincare,makeup,nail polish and more forever!!! I know you love that fave’ shade they discontinued years ago but you’ve got to say goodbye to it. For the sake of your complexion and your health…this is a must.So, now with the weekend here…perhaps you have some time my dear to play a game I call Let’s Throw It Out! Restart your beauty game or your face and health won’t look the same. A spoon you don’t eat with? If you can’t get to it…Beauty Spoon It! I love cool useful kitchen gadgets and also adore them even more so when it comes to all things beauty!This COOL smart beauty tool helps you scoop out the last of your face mask,serums,moisturizers,foundation,cream blush,eye gel and more! Ergonomic handle design with an innovative flex design. Contoured for max product retrieval! If there is a Beauty Bucket List in your life…you gotta have and need this! They come in two fabulous sizes. Almost EVERYONE wears makeup and uses skin care but forget to throw it out. Like fresh milk and food it does spoil and has a shelf life. Sonic Cleanser brush heads need changing every three or 4 months. Foundation: Liquid formulas last a little under a year. Creams last a bit longer.Powder foundation lasts approximately two years or so. Blush powder formula lasts approximately two years and cream blush lasts around a year. Mascara a healthy recommendation is the 3 month rule. Eyeshadow in powder formula last a couple of years. Creams last around a year. Loose or pressed powders last a few years. Lipstick lasts about a year or more. Replace your toothbrush every three months with a fresh toothbrush. 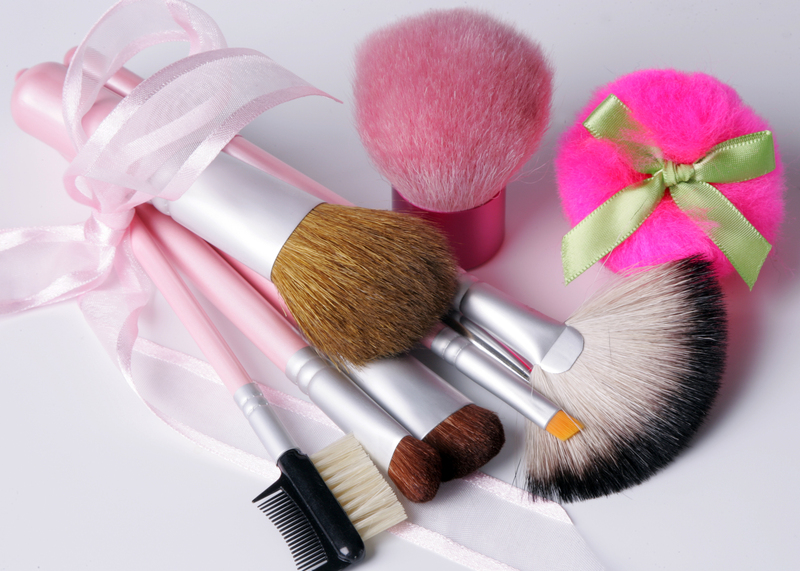 Makeup Brushes and sponges…see demo on TV for more information. Perfume,cologne or after shave last about a year. Don’t store it in direct sunlight or in humid bathroom. If the beauty product smells bad,the liquid foundation turns half beige and half green or other crazy colors (Yes, I have seen this happen) or you’re in doubt it’s really time to throw them out. If you’d like to protect your face,skin,eyes and beauty…Try the Once Opened Beauty Expiration kit.As a professional makeup artist I use this pretty easy kit.Or you can use white labels with a water-resistant marker. Gotta beauty question...ASK ME! 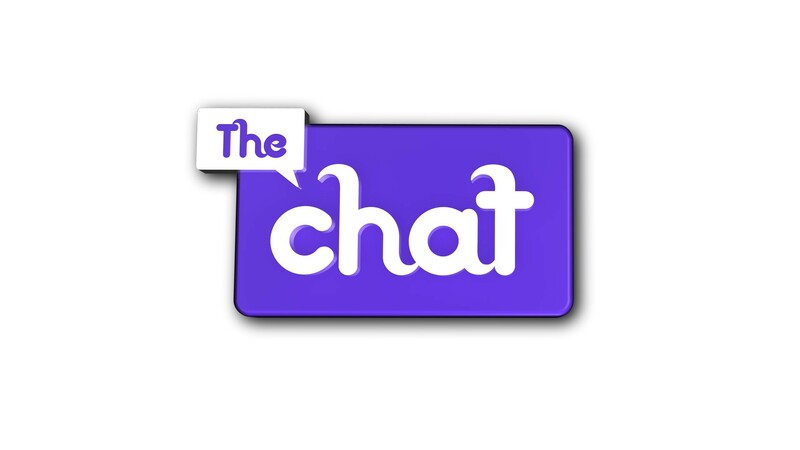 Chat with me.I want to help. Wrinkles around your lips? FAB lip Tips! I LOVE LIPS! Better than chocolate (almost) I love ANYTHING to do lips! As you may know my signature slogan and mantra is “A woman without lipstick is like a day without sunshine”. Hope you have some sunshine on your LIPS today? Does your lipstick or lip gloss run down your lips and out of the outline? Use a clear lip pencil. Yes,this transparent lip liner stick works wonders on your lips! No color just an invisible looking pencil that you use just like you would with a lip liner with pigment. If you need a little more help try Perfect Day Lip Base. Like foundation for your lips it makes your lip color stay on better, remain true and helps keep it from running too. BOTH of these products help and also great for smokers,drinking straw sippers and suckers and sunbathers lips. You know what I mean those pesky lines around your lips! Has your favorite lipsticks been discontinued,broke or melted? Lip Motel to the rescue! This long empty motel compact with mini compartments will hold your lipsticks or lip balms.Simply scoop your leftover lip products with the mini spatula into the empty spaces and save them to use over and over again. Eco chic and fabulous.Be your own makeup artist and use the cool stuff we use too.This is a makeup artists secret! What’s trending in lipsticks and with Celebrities ? They are not only are wearing a fabulous lipstick but wearing lipstick,lips and nail polish on their ears,necks and fingers in the form of bling! They are even wearing handbags in the shape of luscious lips for night clubbing. It is a conversation piece and fashionable fun! Stir the above up and enjoy as a lip exfoliator weekly. If your lipsticks are drying out your lips. You NEED this DIY treatment! If you want a skin soothing lip balm on the cheap. Try this aromatic Rose scented Lip balm! Stir the two well and pour into a container from the Dollar store or a mini jam jar. Apply on clean naked lips nightly! I ALWAYS kiss my lips goodnight with a lip treatment.I also take beauty supplements and for my sweet tooth and prettier skin take a Beauty Burst a day alongside my other vitamins. Looking good feels fabulous! Enjoy my beauty secrets,and lifestyle tips along with my natural D.I.Y. recipes! Eventually you gotta say goodybe to your beauty booty! Now’s the time to take better care of you and your health too.The start of spring or a new year does not mean thinking about losing weight and eating right. Yes, they count however it is also a time to start fresh with your beauty products, makeup brushes and manscaping supplies. Like milk, fruits and other foods your beauty has a shelf life. Once opened, kept too long or stored in a steamy bathroom or car they need to be replaced. Give yourself a few hours in the morning when you are fresh or a few in the afternoon. Spread out your things on a portable table and evaluate. How long ago did I buy this? When was the last time I used it? Did I ever use it? Does it smell funky or has it gone bad. Did you know once opened even if you have not used it much the air and sunlight affects your product and can change its effectiveness. Once skin care products hit the light, they lose their super powers. That is why you see so many brands use amber, dark blue or opaque packaging. Once you have got the old or used products lined up that you do not use anymore…I like to play a game called let’s throw it out. Have a garbage can ready. Skin care: A year or more. Tooth Brush: Throw out every three months at least. Hair Brush: Once a year. Sonic Face Cleansing Brush or Toothbrush head: Throw out every three to six months. Eye cream: A year or more. Retin-A: Less than a year. Foundation: Liquid lasts a year or more. Cream a year or two. Powder base lasts the longest. Lip-gloss or lip balm: lasts approximately a year or two. Blush: Powder blush lasts approximately 2 years or more & cream blush lasts a year or less. Lip and eyeliners, brow liners: I find good quality pencils last longer than you think. They can last years. Liquid or gel eyeliners: Liquid lasts years and gel will only last a year. Less IF you do not close the lid properly. Gel liners dry out fast! Eye shadow: Powder lasts years unlike crams which last a year or less. Mascara: A healthy rule is 3 months or more. Loose powder: Can last years. Shampoo: A couple of years. Conditioner: A couple of years. Nail Polish: A year or more if it does not come out right on the nail when you use it will need to be thrown out. Perfume OR After-shave: Once opened or closed it does expire. A year or a bit more. Makeup Brushes or makeup sponges; need your attention too. Replace your sponges often so germs do not build up. A sign they are getting old is when they fray and start to fall apart. If your makeup brushes start fall apart and hairs start to fall out in small or large clumps it is definitely time to think about replacing them. If the hairs separate from the silver ferrule this part and cut your face. throw it out.Not all your makeup brushes just the ones that are not working well when you apply and blend your makeup or falling apart. When in doubt…if it smells strange, gets rancid or changes color and or doesn’t move and apply like it used to…throw it out. Once Opened Beauty Expiration Kit is a cool kit that you can mark your products purchase date with a water-resistant label and pen. It comes in a cute kit that lets you know how long you had that product. Use up what you have and LOVE, throw out what you are NOT using. Do not pass USED makeup on to your daughter, friends’ mom or family. You will spread bacteria and they may even give them a skin or eye infection. While I love saving money it is not worth handing down…just throw the products out. Do not allow your products to clutter your bathroom or house and get in your way.Deleting and updating these will keep your skin, eyes, face, lips and body healthy. Guys too this includes you too! Start spring right and with fresh beauty and a good and healthy habit. It will make a world of difference! The holiday season is in full swing and taking pictures at parties and family events will be a part of it. Last week on my TV segment for The Morning Show I showed the viewers a peek inside my professional makeup box. So, it’s only natural I had to share them with you. What you will need is to first make sure your face is clean and polished. I love to use a sonic cleanser like Clarisonic skin system. I also highly recommend you use a good face cleansing mask like Splendid Dirt by Farmhouse Fresh or look for a Firming and Tightening one. Guys need to get in on the action too. A microdermabrasion Crystal Peel soap or cleanser will clean the skin and buff away a tired appearance and dead skin. Hydration is key on TV I showed Dermatude Hydra Booster moisturizer but any good moisturizer will do. So, clean skin is important and so is hydration. I like to use an eye gel on all my photographic work,my clients amd one my face day and night. Your eyes are the windows to your soul, if they look dehydrated and tired it will show in the pictures. If you use concealer and I hope you do..make it a salmon colored concealer. This color obliterates a pooped out look. As we age, so does the skin around our eyes and we get a darker ring around the eye especially the inner corner. Next, a face primer is your answer to poreless looking skin. To make your pores look smaller and makeup to LAST this is a must. This product is applied before foundation but after moisturizer. For the ladies you need to use a richer foundation or a product called Not Your Mother’s Foundation to even out the complexion. Applying more blush is a must especially when it comes to picture taking. Otherwise you can look really washed out. A mascara in dark blue, green,eggplant or brown/black will define your lashes and make the whites of your eyes look brighter. A luscious shiny gloss or a medium shade to bright lipstick will make your lips look stunning. Skip a strong shade of lip liner if you want less of a lined outline look or try an invisible lip liner. It locks color in place and defines the lips to make them look larger or smaller. Even children and men need a lip conditioner. The weather outside is colder in most parts of the world or downright freezing so the lips will dry out,peel,flake and look bad. Set the make-up with Asian Rice Face Powder or an HD face powder . Even the men need this over their moisturizer to look less shiny in photos. Balding guys can help that receding hairline by applying this magical trick of powder to that area. Always work in downward strokes so the hair follicles won’t fly up and be so noticeable. Now, for the hair…make sure you have a fresh haircut or trim. Hairspray is a must I am in love with Italy Hair Fashion spray. I recommend it to my color treated hair clients to make their salon visits last longer. Spray softly and smooth away those flyaways with my fav’ brush called the WET Brush. It will detangle and be your go to brush. Wear nail polishor get a manicure in case your hands show in the photo, especially if you take a close up and they are in the photo. I love some neutral shades by OPI. A soft natural look will not do…I don’t want you to look like “cake face” and over do…I simply want you to be aware you’re not running errands or jogging…you need some makeup, a bit more color to your face and the right tools to look GREAT in photographs. Create some memories and take some beautiful and fun family photos. A pictures says a thousand words! What will yours say about you?